Page has served as Director of Music Ministries and organist at Warwick Memorial United Methodist Church since the fall of 1972. She is the director of two adult choirs, two children’s choirs, one youth choir, and three handbell choirs. Page holds a Bachelor of Music degree from Greensboro College in Greensboro, North Carolina, where she studied organ with Dr. Lorna Lutz Heyge, adaptor of the Kindermusik program for the United States and Canada. Page received a Master of Music degree from the Eastman School of Music of the University of Rochester in Rochester, New York, where she was a student of David Craighead. Page began Kindermusik Level I training at Westminster Choir College in 1984 under Dr. Lorna Lutz Heyge, and in 1985 began the Early Childhood Musik School of Warwick Memorial United Methodist Church along with Cindy Freeman using the Kindermusik curriculum. Page has been training since 1994 in the Musikgarten curriculum, written by Dr. Heyge and Audrey Sillick . 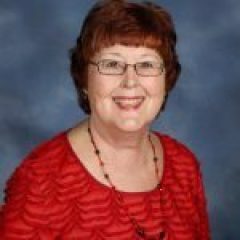 Page is a member of the International Early Childhood Music and Movement Association and has been a Level III Certified Early Childhood Music and Movement Specialist since 1990. Page currently teaches 10 Musikgarten classes a week at the Warwick Memorial’s Early Childhood Musik School. Classes are for children ages newborn to eight years old. In addition to the above activities, Page is an active member of the Peninsula Music Teachers’ Association, the Virginia Federation of Music Clubs, Choristers Guild, and the Handbell Musicians of America. She is also affiliated with the Music Teachers’ National Association and the Fellowship of United Methodist Musicians. Currently, Page runs a private music studio in her home . She has taught piano, theory and organ in Newport News since 1971. Page is married to Lamar Williams and is mother to two very special children, Dana and Ryan Williams.